Well it’s October already. Things are really starting to roll in my classes. Projects are getting more interesting in my honors programming class which is a good thing. And my Twitter, Facebook and RSS feeds are showing me all sorts of interesting things which I share here and via my Twitter (@AlfredTwo) feed. I’m also experimenting with Ello a little. Anyone else on Ello? I am there @AlfredTwo. Feels empty so far. But enough chit chat. Check out the links below. 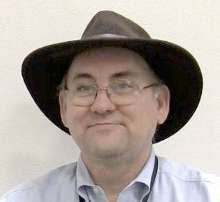 The state of computing education in the world: Report on the 2014 ACM Education Council Meeting by Mark Guzdial on the blog@CACM Well worth the read. Microsoft Sway Aims to Automate Beautiful, Responsive Web Design You can see an example about a trip to Mt. Rainier in a Sway: https://sway.com/rainier To me it looks a like a tool to create pretty interesting stories on a web page that combines images and text. I’m hoping to get a beta invitation. 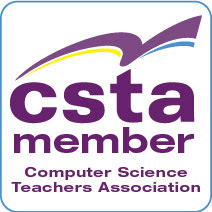 Computer Science Principles: Getting Started is the latest post by Myra Deister (twitter @shhsMath) on the Computer Science Teacher Association blog. Programming Is Not Math by Sarah Mei @sarahmei This will make you think. Laptop education for all should be Common Core by Garth Flint addresses some of the tech limitations that both students and teachers have that makes one to one computers difficult. This post on the Microsoft New England blog struck me as interesting .Kinems Personalized Kinect-based Learning Games for Children with Learning Disabilities Anyone know someone using these games? Scott Hanselman @shanselman has created a very nice Windows 10 tour video on YouTube Looks to me like some of the best of Windows 7 and Windows 8 will be there.